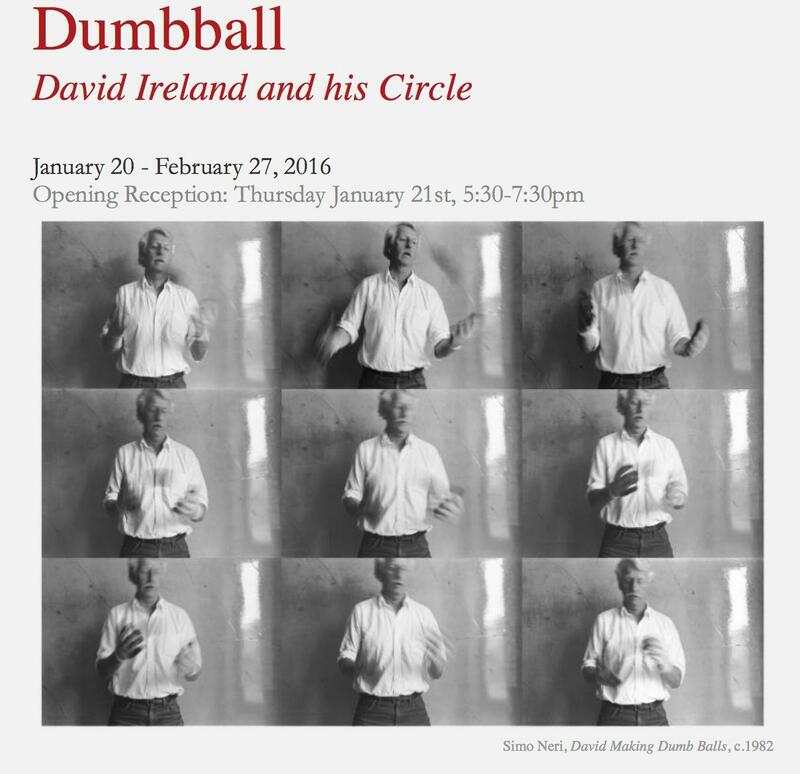 Anglim Gilbert Gallery in San Francisco is pleased to present DUMBBALL, an exhibition honoring the work of David Ireland (1930 – 2009), and his influence. The exhibition complements two events: the reopening of the David Ireland House at 500 Capp Street and a solo exhibition at the San Francisco Art Institute. Simo Neri photographed David Ireland’s work extensively during her time in San Francisco, especially his projects at 65 Capp Street, and at 500 Capp Street, and the making of Dumbballs.David Ireland’s dumbballs are his signature object formed by passing a lump of concrete from hand to hand (over a period of hours) until a sphere sets up and hardens. 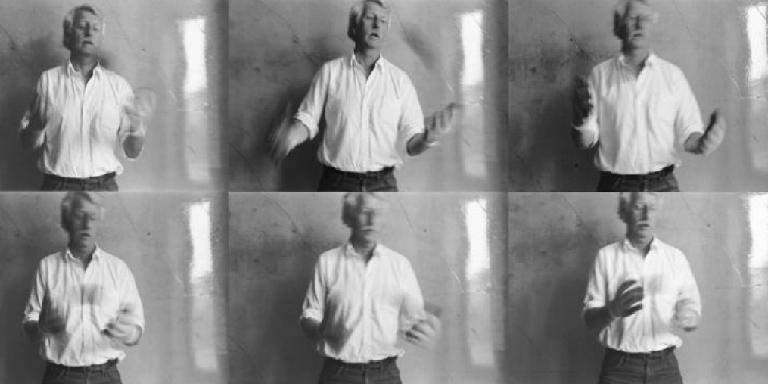 An artwork that requires time and repetition (calling into question notions of craft and artist’s decision-making), the dumbball is key to David Ireland’s view of creativity. Each dumbball’s creation is a performance that engages the body as much as the mind. the meditative process itself becomes the work. When the work becomes a hardened permanent object the artist’s commitment ends, bringing the piece to completion. 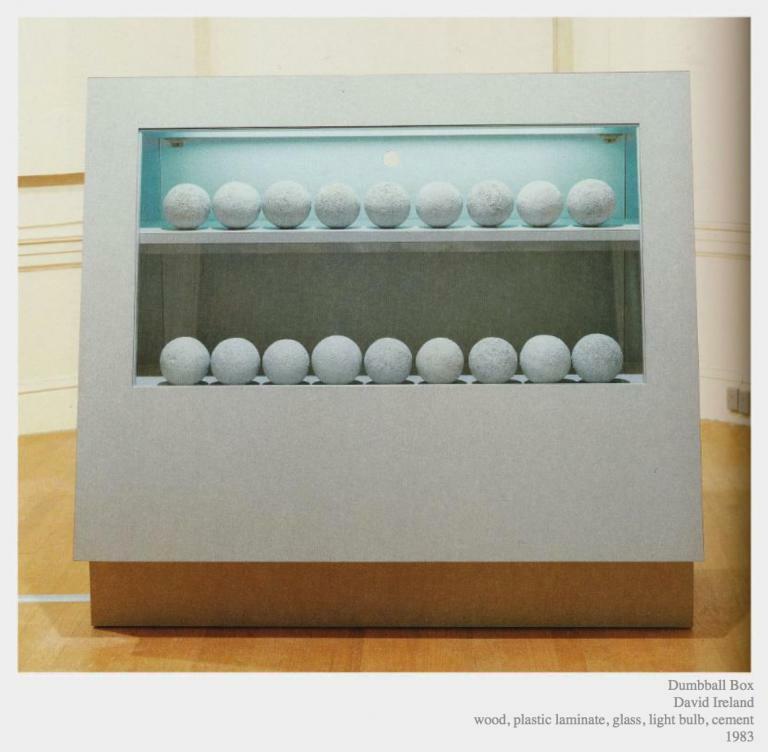 Central to the exhibition will be Ireland's Dumbball Box (1983), a cabinet with an electric light acting as showcase and repository for 36 dumbballs, originally shown with the title "Reliquary".